Dingle Tower is a commemorative monument built in the early 1900s to recognize the 150th anniversary of the establishment of representative government in the province of Nova Scotia. 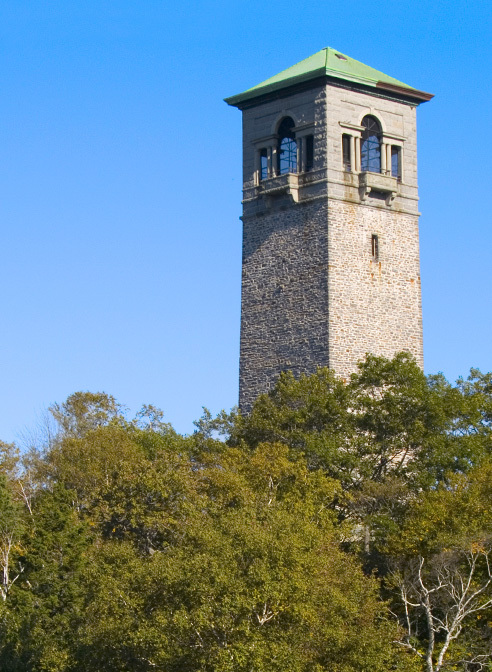 The tower stands in Sir Sandford Fleming Park in Halifax, which was donated by Fleming in 1908 to residents of the city. Some of the most notable features of Dingle Tower include its ironstone construction, with stone sources from a local quarry called Purcell’s Cove, along with its Palladian style opening, copper Spanish tile roof, and detailed copper cornice. However, over time these cornice details began to fail and deteriorate, and required complete replacement. The copper Spanish tile roof had damages in several areas and we decided it could be salvaged and restored. 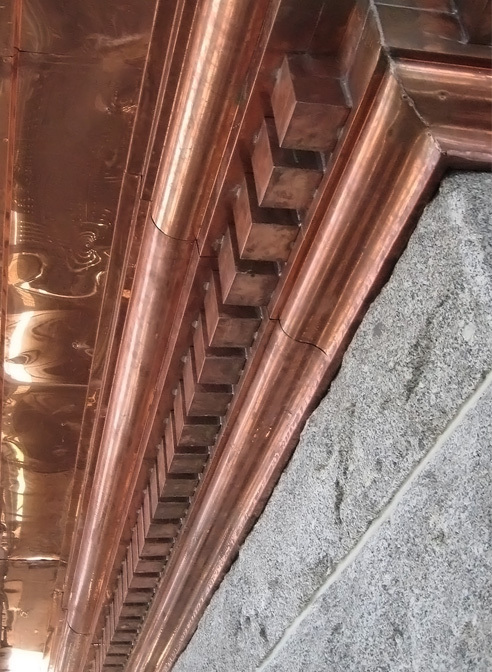 Heather & Little was given the project of replicating the existing historic metal cornice and decorative sheet metal elements for Dingle Tower using new, 20-ounce copper sheeting. As part of the restoration, we removed all existing copper Spanish roofing tiles, restored all of the damaged tiles for reinstallation, and replaced the copper hip tiles with new copper tiles replications. To learn more about this project and see our work on Dingle Tower, browse the images below. If you have any questions about Heather & Little’s sheet metal cornice work, please contact a member of our team today!